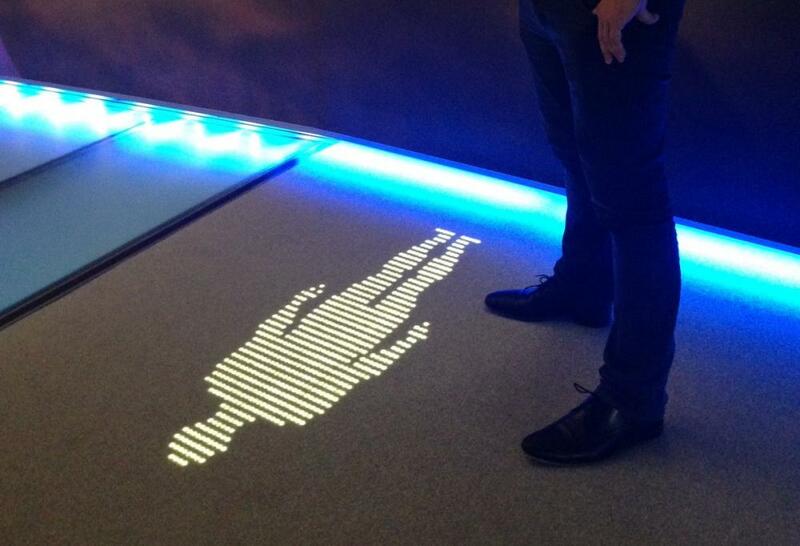 Luminous carpets – invisible integration of LED lighting in carpets and vinyl flooring. Invisible integration of LED lighting in carpets and vinyl flooring that come to life with moving messages or images to greet and guide visitors and guests. 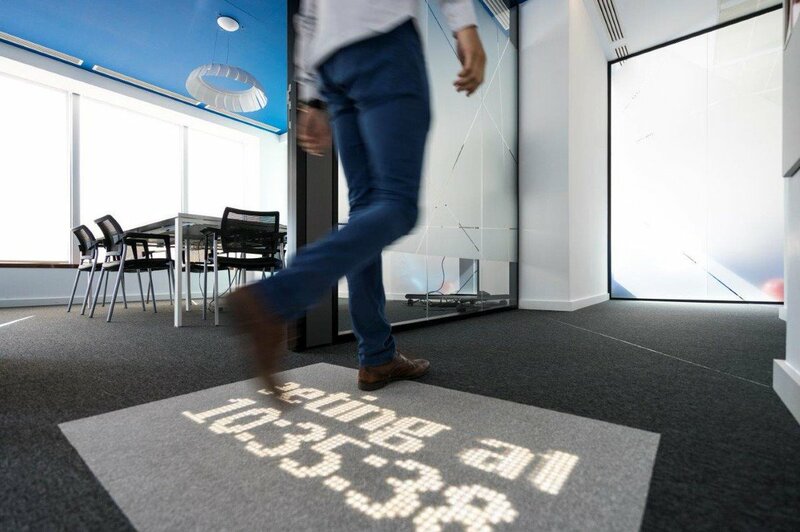 Luminous carpets are easily connected to your electrical and IT infrastructure to run pre-programmed displays. Or you can simply use your tablet or smartphone to create these special messages. 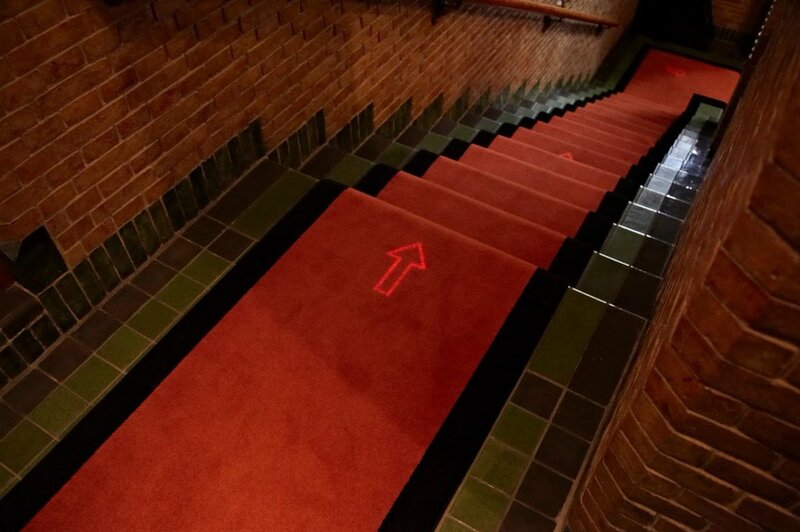 Furthermore, luminous carpets can be connected to the fire alarm system so that, in case of a fire, it will show you the safest way out of the building. Want to make your mark on visitors and guests? 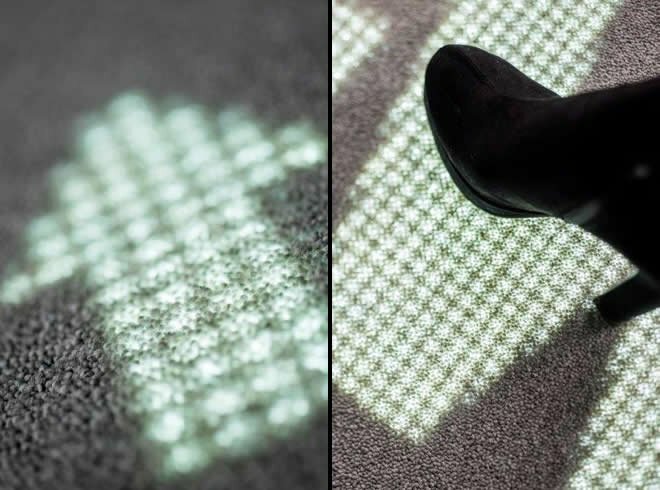 Luminous Carpets let you welcome, attract and guide them in ways they have never seen before. Go hand in hand with the aesthetics of your building, with high-quality carpet material that looks good even when the lights are off. 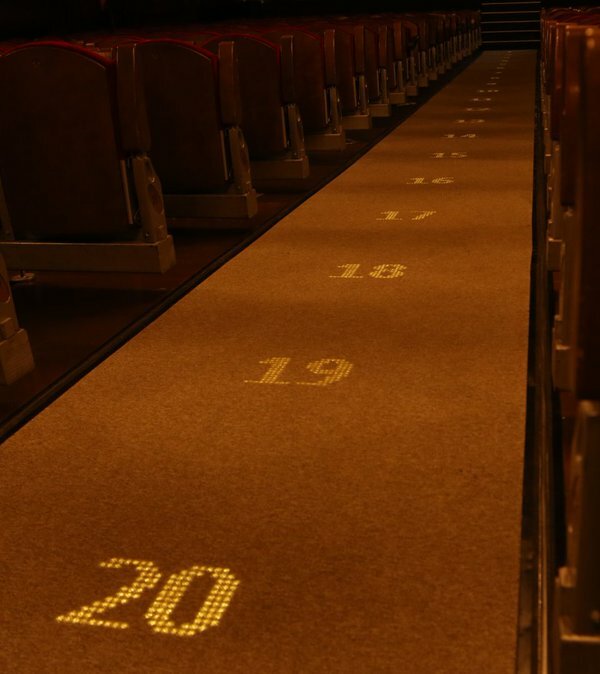 Luminous Carpets give you the power to create truly memorable experiences in your building. 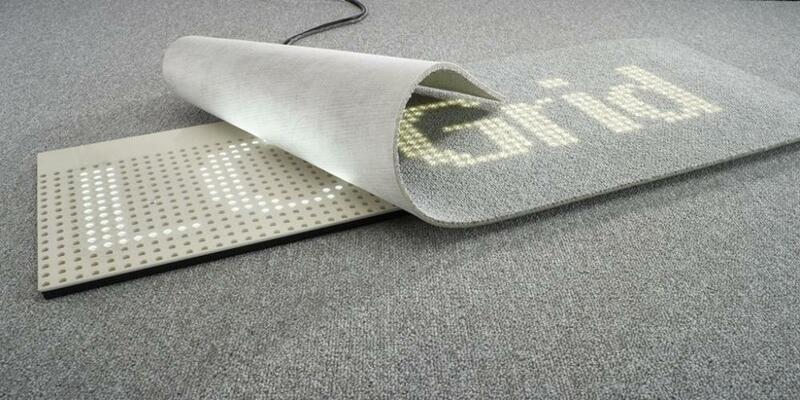 Combining luxurious carpets with cutting-edge LEDs, the technology connects easily with your electrical and IT systems. With one simple setup, you can display personal messages or subtle signage - whenever and wherever you want. 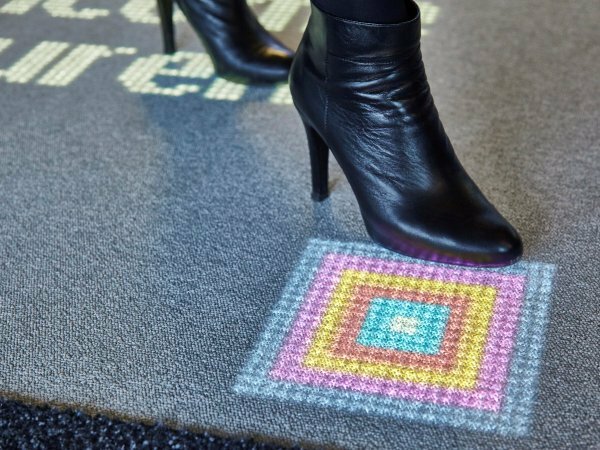 Luminous Carpets can be easily integrated with other connected lighting and internet-related technology. 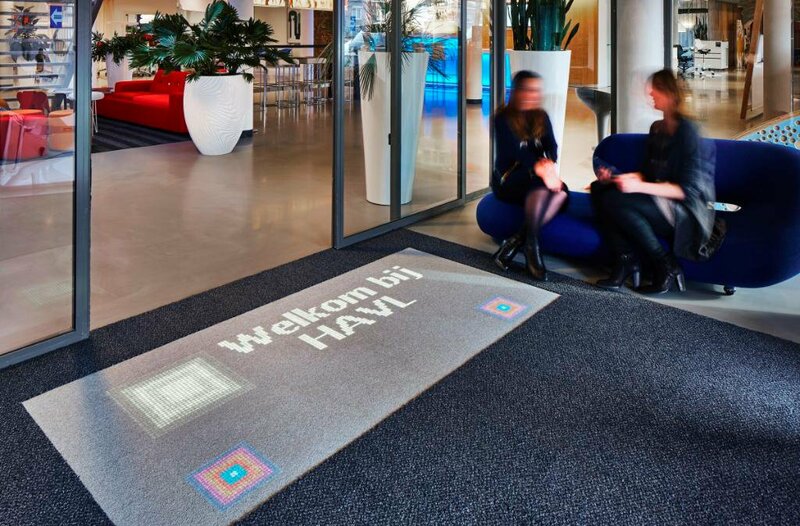 By interacting with your visitors in new and inspiring ways, you will create a lasting impression on everyone who enters your building. 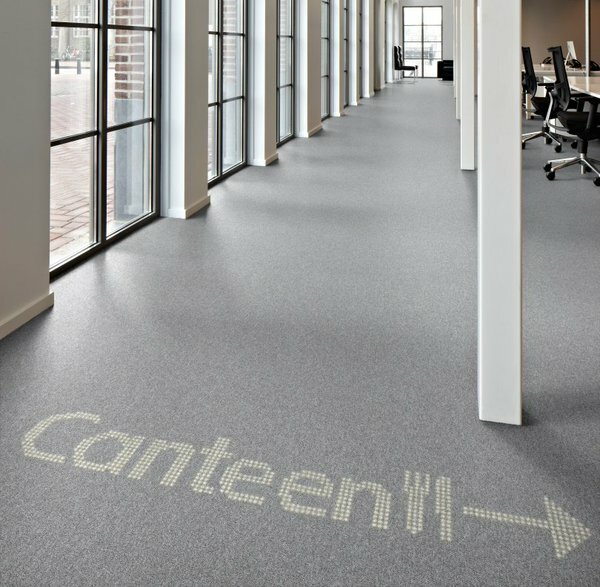 Use hallways floors to direct people to toilets, exits and meeting rooms. During an emergency, the lights can help people to find an alternative escape route. 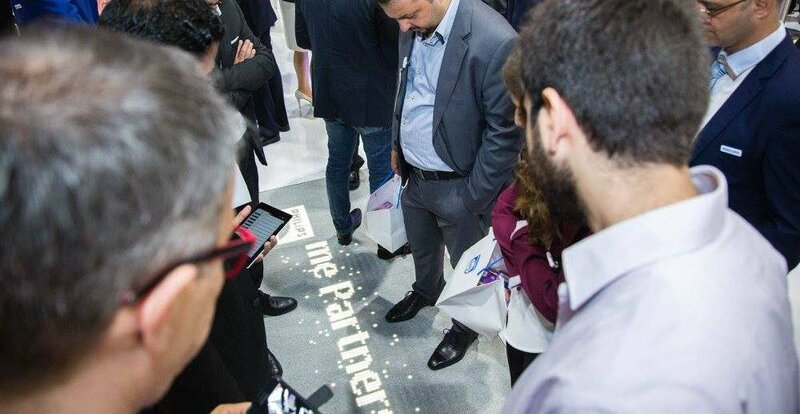 Euroshop 2017, Düsseldorf, Germany – Philips Lighting (Euronext Amsterdam ticker: LIGHT), a global leader in lighting, and Tarkett (Euronext Paris ticker TKTT), a worldwide leader of innovative and sustainable flooring, announced the launch of Luminous vinyl flooring. The specially developed vinyl tiles are embedded with cutting-edge LED technology that enables retailers to advertise, interact with customers and guide them through any store or building. 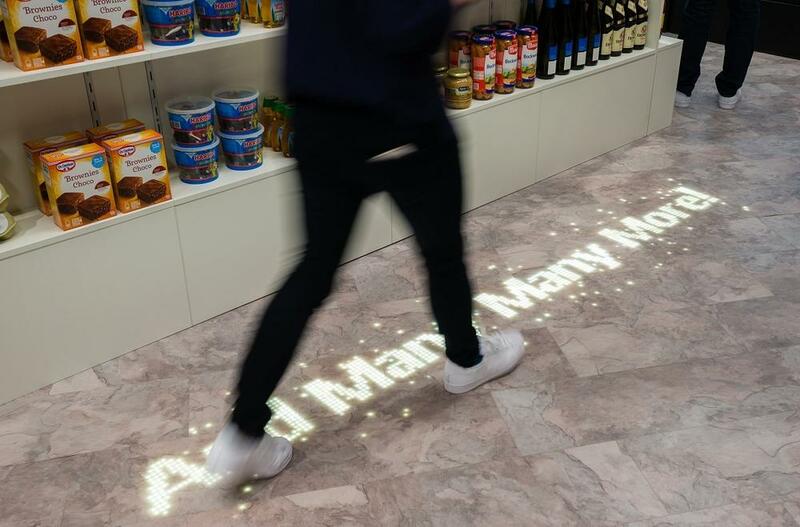 The new Luminous vinyl flooring, principally aimed at retail and hospitality environments, enables the broadcast of luminous messages, animations and adverts on the vinyl floor to provide unique customer experiences and help drive sales. 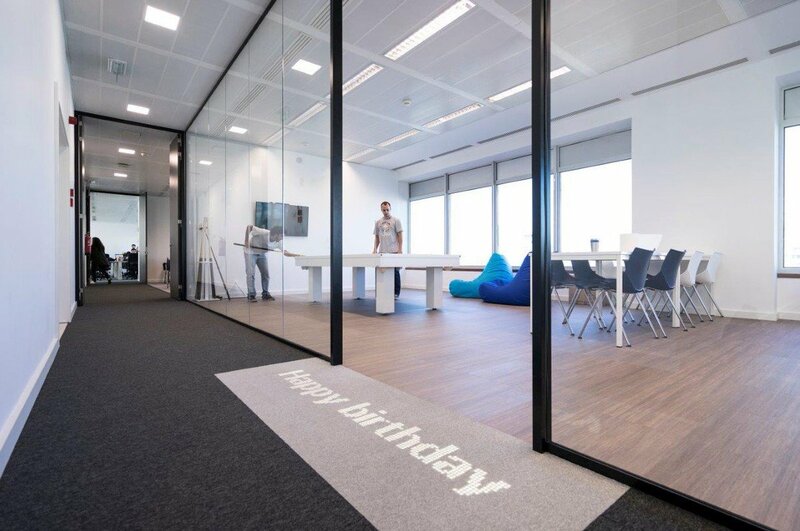 “We are passionate about helping our clients to create unique spaces with our flooring solutions in all kind of sectors such as retail, hospitality and offices where differentiation and brand identity are key. 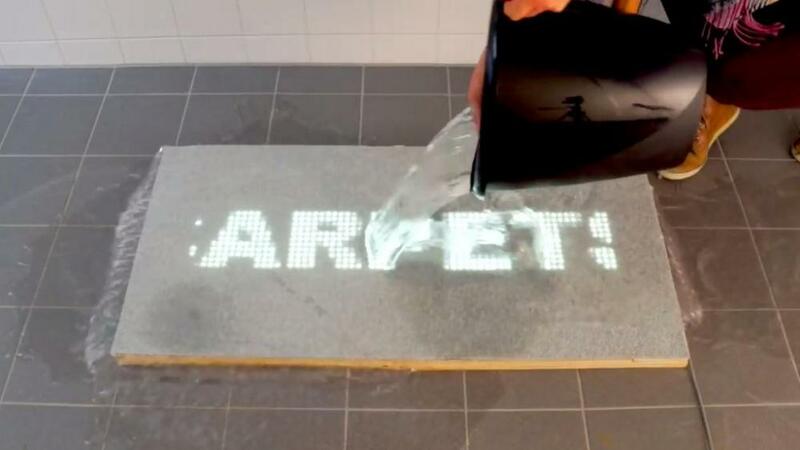 With Luminous vinyl flooring we take our “Unique Spaces” innovation strategy to the next level allowing flooring to display dynamic messages or animations and to grab people’s attention in an unprecedented way,” says Anne-Christine Ayed, EVP Research, Innovation and Environment at Tarkett. Luminous vinyl flooring is available in a wide variety of decors and modern finishes, such as wood, mineral effects and graphic designs. 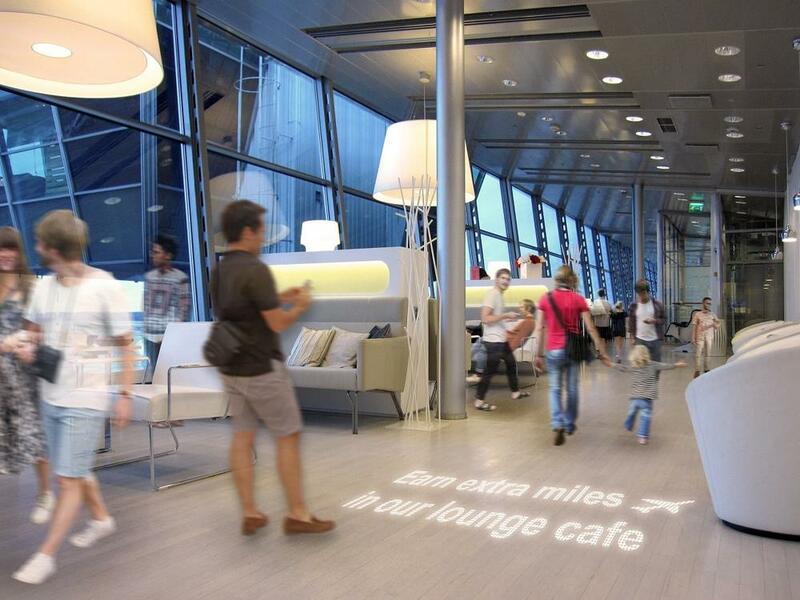 The vinyl flooring is made using an innovative light translucent formula enabling glowing effects. 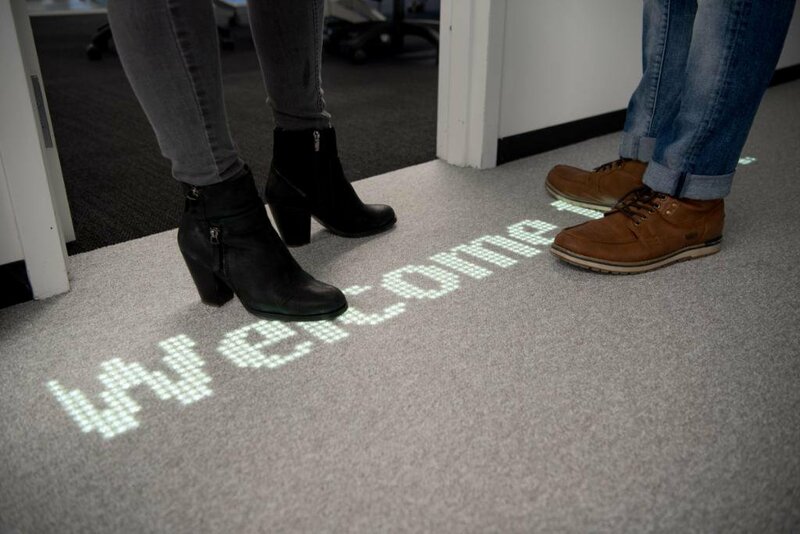 The connected LED lights in the flooring allow displays to be pre-programmed or personalized by a tap of a smartphone screen or the click of a mouse. Also, real-time Internet content is displayable, as the cloud-based content management system can link to an external social media channel such as a Twitter feed. 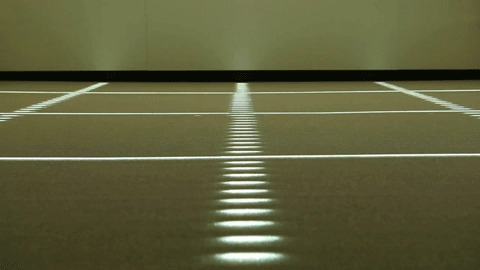 “Increasingly light is being embedded into floors, walls and ceilings. 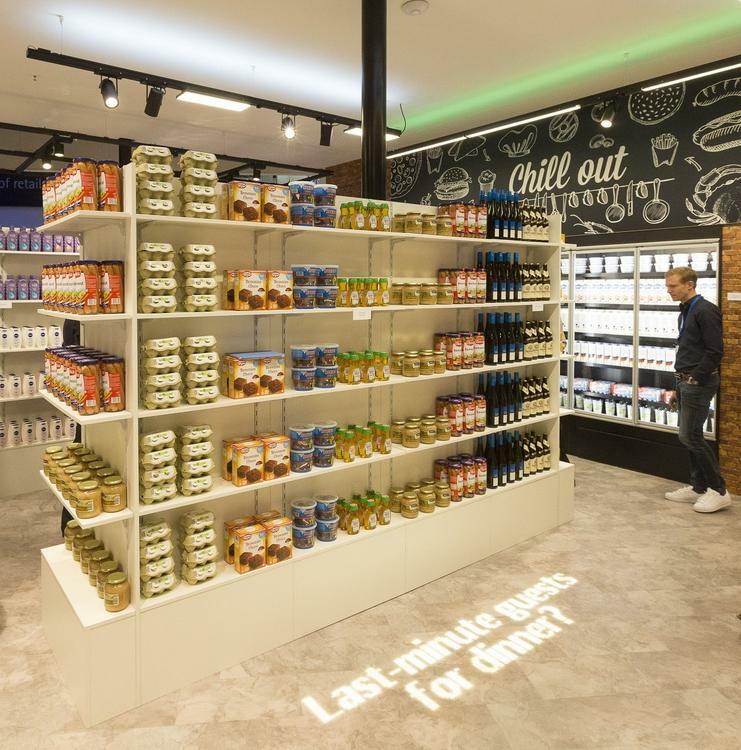 This latest innovation with Tarkett extends this trend and offers new ways to engage shoppers, visitors and employees. 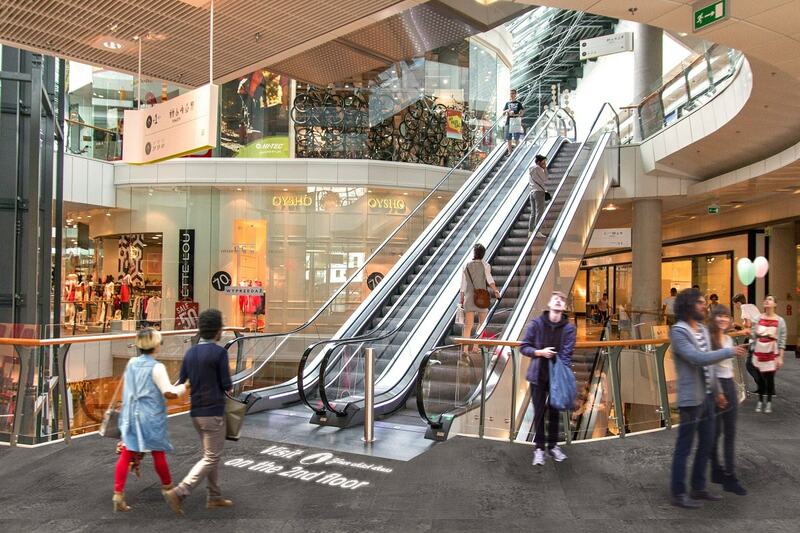 Light can be used to welcome and guide people, alert them to special offers and even advertise to them. 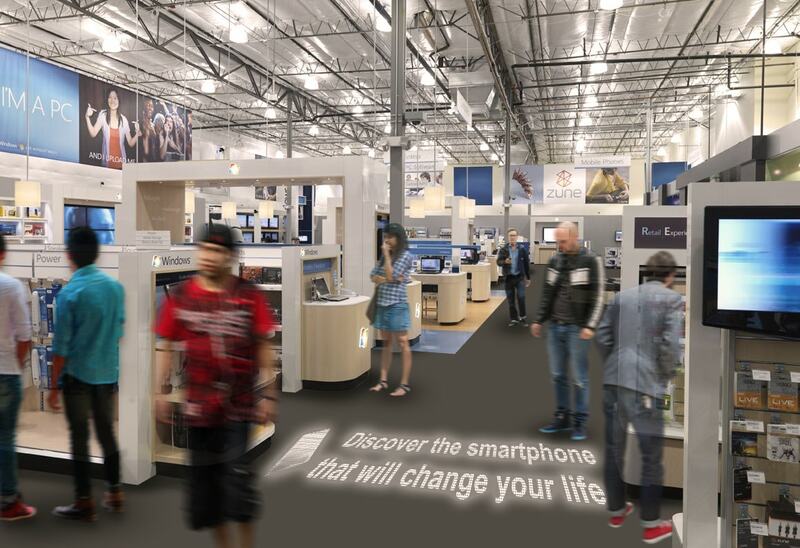 When connected to the web all kind of dynamic real-time information can be displayed and remote access allows the retailer to program multiple branches,” says Dr. Bernd Voelpel, General Manager Luminous at Philips Lighting.